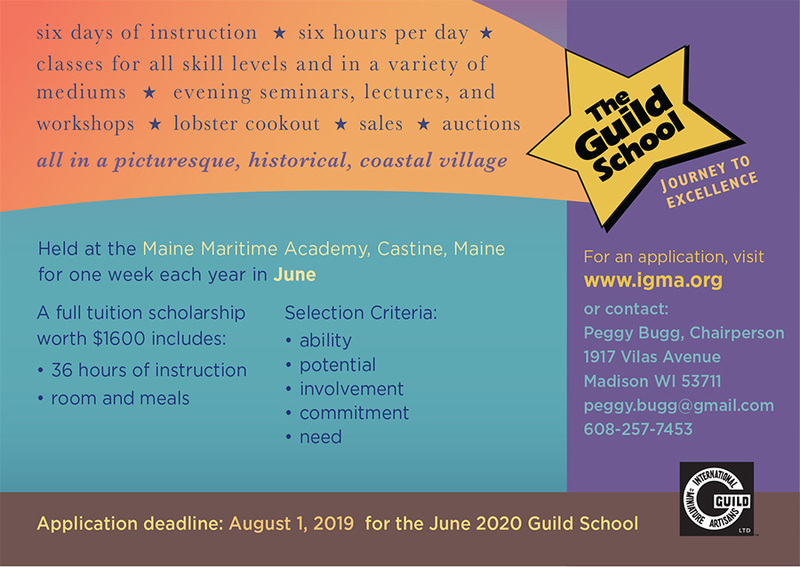 The Guild School, sponsored by the International Guild of Miniature Artisans (IGMA), established its Scholarship Program in 1985 with the first scholarship recipients attending the 1986 Guild School. Each year since then, scholarships have been awarded to deserving miniaturists. A full-tuition scholarship is currently valued at $1600 and pays for 36 hours of instruction plus room and board for the entire school week. Recipients must provide their own transportation and assume any other expenses incurred such as materials fees for classes (typically $20-$300) and evening seminars (typically 0-$50). The source of funding for the Scholarship Program comes from various fundraising efforts held during the school week. The major event is the Live Auction. Needless to say, the scholarship provides a wonderful opportunity for individuals who appreciate, and wish to learn more about creating, fine miniatures. Through the Scholarship Program, The Guild School can quite possibly become a reality for you…a friend…or a relative. Applicants need not be members of IGMA. Applicants do not have to live in the U.S., nor be citizens of the U.S. Applicants may not be a member of the IGMA Board of Trustees or an employee of IGMA. 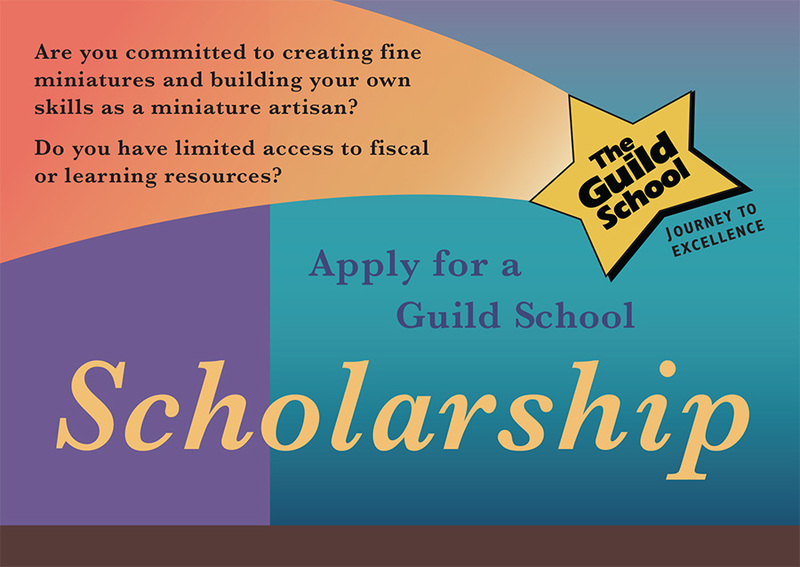 The application for the 2019 Guild School scholarship is now available. It is due August 1, 2019.